MVIS-CryptoCompare Index | OKEx Bitcoin Derivatives Trading Volume Highest in March | Japanese Exchange Zaif to Resume Activity Seven Months After . . .
MVIS-CryptoCompare Index | Coinbase Reportedly Generated $520 Million in Revenue in 2018 | IOTA Partners with EVRYTHNG to Launch IoT Applications | . . .
MVIS-CryptoCompare Index | Japan To Require Crypto Exchanges To Bolster Internal Oversight | Coinbase Expands Crypto-to-Crypto Trading to 11 More . 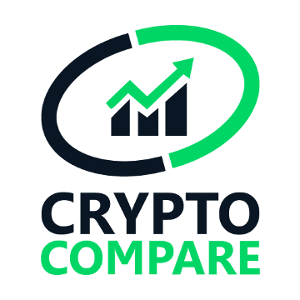 . .
MVIS-CryptoCompare Index | CryptoCompare Publishes Monthly Exchange Review for March 2019 | Kraken Exchange Joins Binance and ShapeShift in . . .
CryptoCompare published its March 2019 Exchange Review today, offering institutional and retail investors insights into key developments in the . . .
MVIS-CryptoCompare Index | OKEx Refuses to Bow to Pressure to Delist Bitcoin SV | France To Ask EU Partners To Adopt Its Cryptocurrency Regulation . . .
MVIS-CryptoCompare Index | Binance Labs Grants $45,000 to 3 Open-Source Blockchain Startups | IMF and World Bank Launch Private Blockchain To . . .
MVIS-CryptoCompare Index | Trade Organization ICC Eyes Blockchain Adoption | Binance Partners With CipherTrace to Enhance AML | World's First Smart . . .
MVIS-CryptoCompare Index | Coinbase Launches Crypto Visa Debit Card for UK and EU Customers | Bittrex Responds to NYDFS Denial of BitLicense . . .
MVIS-CryptoCompare Index | Nathaniel Popper: Facebook is Seeking $1 Billion in Funding For Its Cryptocurrency | Bitstamp Granted BitLicense To . . .
MVIS-CryptoCompare Index | Opera Releases New Browser With Built-In Crypto Wallet | Western Union Integrates With Crypto Wallet to Expand . . .
MVIS-CryptoCompare Index | Former Employee Sues Kraken Over $900,000 Payment | Gas Giant Gazprom to Execute Business Contracts on a Blockchain | CME . . .
MVIS-CryptoCompare Index | Coinsquare Launches Canadian Dollar-Backed Stablecoin | Bitrue Launches XRP-Based Trading Pair for Cardano (ADA) | . . .
MVIS-CryptoCompare Index | SEC Issues Guidance to Determine If a Cryptoasset Is a Security | EU Blockchain Group Launches With SWIFT, Ripple . . .
MVIS-CryptoCompare Index | Coinbase Confirms Extent of Crypto Insurance Coverage | TrueGBP Stablecoin Launched, 'Real-Time Confirmation of Reserves' . . .
MVIS-CryptoCompare Index | XRP Exchange-Traded Product Goes Live on Swiss SIX Exchange | Coinbase Let's Users Send XRP and USDC to Other Coinbase . . .
MVIS-CryptoCompare Index | Crypto Exchange Bithumb Hacked for $13 Million | Canadian Town Starts Accepting BTC for Property Tax Payments | Coinbase . . .
MVIS-CryptoCompare Index | TRON Acquires Very First Blockchain App Store: CoinPlay | KuCoin Enables Buying Crypto With Visa and Mastercard | . . .
MVIS-CryptoCompare Index | Huobi DM Is Launching XRP Futures Contracts | London Metal Exchange Backs Plan to Track Physical Metals With Blockchain | . . .
MVIS-CryptoCompare Index | DragonEx Exchange Hacked - Users’ Crypto ‘Transferred and Stolen’ | Weiss Ratings Released The "Weiss . . .
MVIS-CryptoCompare Index | Bitmain’s IPO Application Has Officially Expired | OKEx Crypto Exchange Is Building a Blockchain | CoinMarketCap Will . . .
CryptoCompare has announced its Digital Asset Summit 2019 along with an impressive roster of speakers - with Andreas M. Antonopoulos, a best-selling . . .
MVIS-CryptoCompare Index | Binance CEO About Binance Launchpad’s Controversial New Sale Format | Streaming Service Twitch Removes Crypto Payment . . .
MVIS-CryptoCompare Index | MyEtherWallet Teams Up With Sirin Labs for Finney Phone Integration | UPS Integrates Blockchain Platform to Improve . . .
MVIS-CryptoCompare Index | Crypto Exchange Caspian to Offer Crypto Options & Futures Trading | Celer Network (CELR) Sells Out in 17 Mins on . . .
MVIS-CryptoCompare Index | Celer Network (CELR) Sells Out in 17 Mins on Binance Launchpad | Crypto Exchange Caspian to Offer Crypto Options & . . .
We are delighted to announce that CryptoCompare has won the ADVFN International Financial Award for Best Website for Cryptocurrency Data today. The . . .
MVIS-CryptoCompare Index | CryptoCompare Publishes Exchange Review for February 2019 | Fortune 500 Tech Firm Avnet Now Accepts Crypto Payments | . . .
MVIS-CryptoCompare Index | Stellar Lumen (XLM) Listed on Coinbase | Japan Introduces New Regulations for Margin Trading | Crypto Exchange Bithumb to . . . The February Monthly Review provides the latest exchange rankings; an evaluation of spot vs futures volumes including both crypto exchanges (BitMEX . . .
MVIS-CryptoCompare Index | Riot Blockchain to Launch Regulated Crypto Exchange in the US | Coinbase Pro Increases Fees & Updates Market . . .
MVIS-CryptoCompare Index | OKEx's Sets New Daily Trading Volume Record | Cboe Exchange Puts Brakes on Bitcoin Futures Listing | Gatecoin Crypto . . . Global Digital Finance (GDF), the industry membership body that promotes the adoption of best practices and conduct standards for crypto assets and . . .
MVIS-CryptoCompare Index | Bittrex Unveils Initial Exchange Offering to Compete With Binance's Launchpad | Coinbase Completes First OTC Crypto Trade . . .
MVIS-CryptoCompare Index | Binance’s Trust Wallet Adds Support for XRP & Credit Card Payments | SEC Chair Clayton Affirms ETH Is Not a . . .
MVIS-CryptoCompare Index | Blockchain ETF Launched on the London Stock Exchange | Malta Appoints Cybersecurity Firm to Monitor Crypto Transactions | . . .
MVIS-CryptoCompare Index | Bitbond: Germany’s First Security Token Offering | Brazilian Court Orders Bank to Return $330,000 to Cryptocurrency . . .
MVIS-CryptoCompare Index | Samsung Partnered with Enjin (ENJ) for Blockchain Wallet on Galaxy S10 | eToro Adds Crypto Buying and Selling in 32 US . . .
MVIS-CryptoCompare Index | Switzerland's Main Stock Exchange Launches Ethereum ETP Trading | Huobi's Over-the-Counter (OTC) Trading Desk Adds XRP | . . .
MVIS-CryptoCompare Index | New EY CAAT Technology Facilitates Cryptocurrency Reporting and Compliance | TrueUSD Stablecoin to Add ‘Real Time’ . . .
MVIS-CryptoCompare Index | Tether to Launch New Version of USDT Stablecoin on Tron Blockchain | Coinbase Pushes Out Ex-Hacking Team Employees . . .
MVIS-CryptoCompare Index | Crypto Investment Firm Circle Seeking $250 Million Ahead of Possible IPO | Binance Dangles $100K in Crypto to Get Users . . .
MVIS-CryptoCompare Index | Regular Retail Investors Can Now Trade XRP on Coinbase | Kraken Offers $100,000 Reward for QuadrigaCX’s Missing Funds | . . .
MVIS-CryptoCompare Index | Coinbase Partners with SoFi to Provide Crypto Trading Services | Hacked Exchange Cryptopia Discloses Estimate of Stolen . . .
MVIS-CryptoCompare Index | 125-Year-Old Swiss Bank Enters Cryptocurrency Market | Nasdaq Launched Bitcoin and Ethereum Liquidity Indexes | Widow of . . .
MVIS-CryptoCompare Index | Coinbase Users Can Now Buy and Sell XRP | US Government Returns BTC Retrieved Following 2016 Bitfinex Hack | Indian . . .
MVIS-CryptoCompare Index | TRON's TRX to Hard Fork by End of February | Preview of Samsung’s Galaxy S10 Phone Reveals New Crypto Details | . . .
MVIS-CryptoCompare Index | Spanish Telecom Giant to Trial Blockchain Consumer Data Marketplace | MyEtherWallet Fiat Offramp Established Through Bity . . .
MVIS-CryptoCompare Index | Gladius Tattles on Itself Before SEC Brings Down the Hammer | Samsung Confirms Galaxy S10 Will Include Private Crypto Key . . .